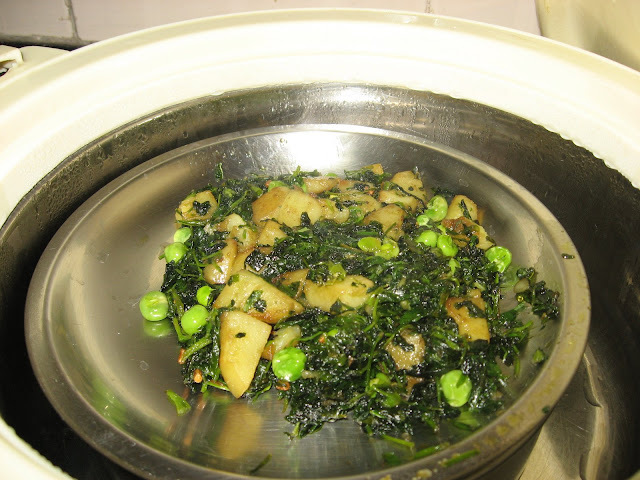 Methi or Fenugreek is good for health and green leafy vegetables give us whole lot of nutrients also.In eastern UP ,Bihar ,methi aloo matar is a relish people enjoy eating it with their rotis There are many different ways to make them ,this is our version of Methi Aloo Matar. Heat a Kadai , Add sarsher tel (Mustard oil),now add kalo jeera ( Nigella seeds) for phoron(tempering ) at med. Now add methi shak (green leaves),and cook at high till green leaves shrinks,quickly lower the flame and fry for 7-8 mints ,occasionally stiring in between just to check if it doesn’t stick to kadai/saucepan.Add slit green chillies. Take out in a bowl and sprinkle roasted peanuts optional . Serve with garam roti .Recipe can very well go with Kolmi /note(chaouli) Shak also. Some more recipes next time , happy cooking dear friends. I've never made anything from Fenugreek leaves as we don't get it here. We make aloo methi, but never added peas. great idea. do try it ,I guess it will come nice with frozen also . 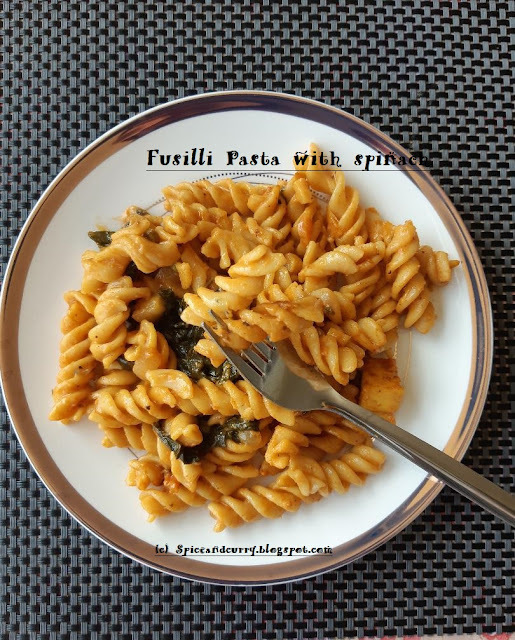 Its great to eat with Rotis .I guess this recipe can go very well with any other green leaves like spinach also ..My friend used to make it with spinach . 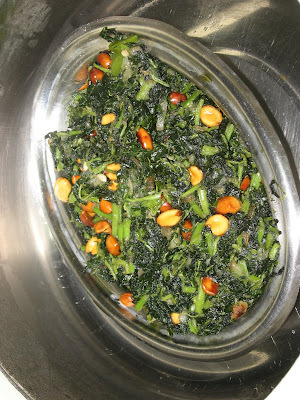 adding peas enhances the flavor of methi ,if u wish can add roasted peanuts also ..
wow!nice recipe...will surely try some time..
ur avatar is so cute ,i luv it ..do try it sometimes..
Feel at home dear ,its so good to know u ..post some oriya dishes also in ur blog ..